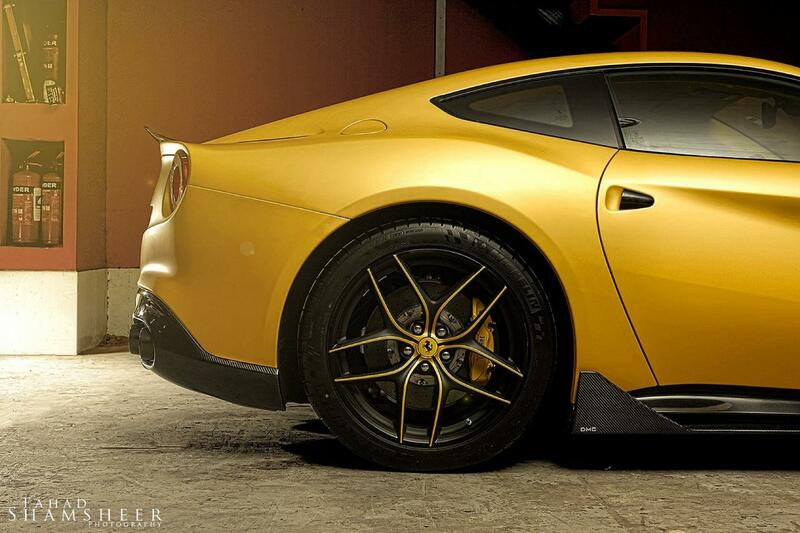 DMC prepared a new tuning kit for a Ferrari model, this time for the F12 Berlinetta. 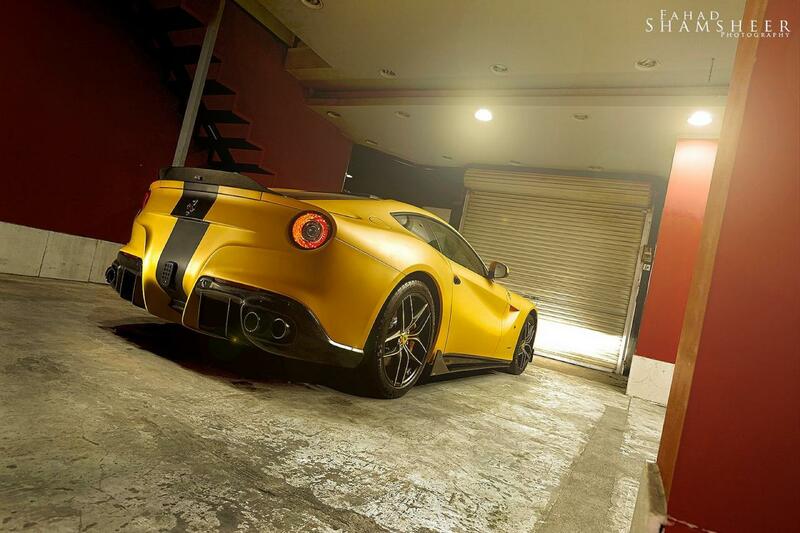 Called F12 SPIA Middle East Edition, the package brings a power boost of 26 horses for a total output of 766 horsepower. For this, the 6.2-liter V12 engine receives a retuned ECU unit which enables an increased top speed of 354 km/h. Other performance improvements are related to a new titanium exhaust system. On the other hand, the company provides new front splitter, rear wing, diffuser, 22-inch alloy wheels with Pirelli Sport tires and new side skirts. 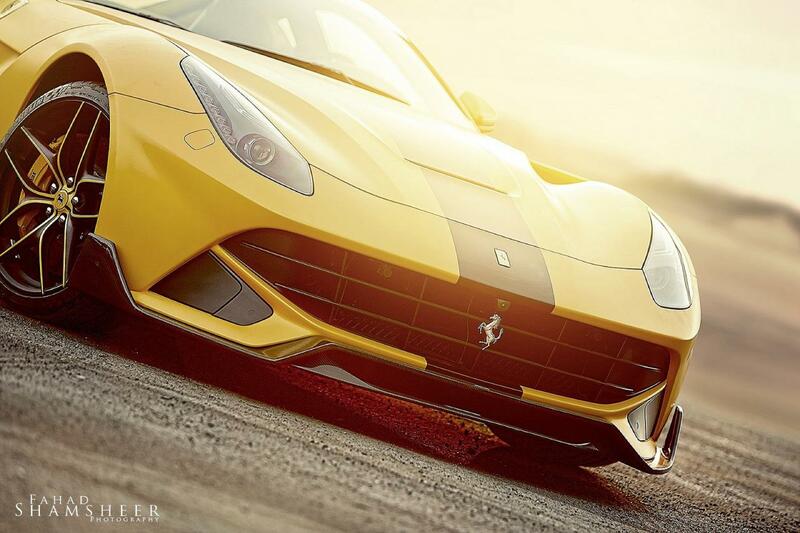 The Italian sports car wears a yellow exterior finish with a black racing stripe which starts on the front bumper and goes all the way to the back. 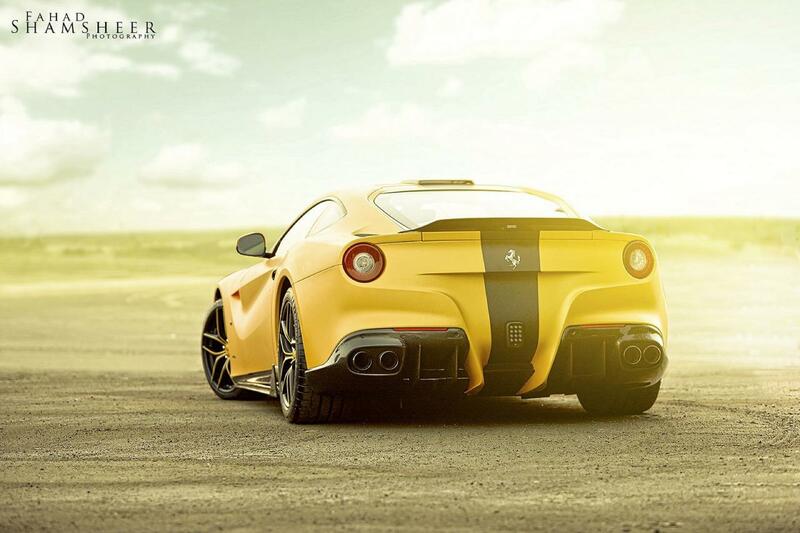 Pricing and availability on the new Ferrari F12 SPIA Middle East Edition were not released yet by DMC.